CD-i Emulator: update, burnout, wake-up, release? 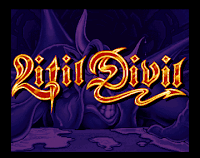 We often forget how difficult and time consuming it is to get CD-i Emulator running CD-i titles. I admire the effort cdifan puts into it again and again. So there's a little news today from his CDi Bits Blog: "Early december I did a little work on rewriting the input record/playback code to its final specifications. I did some work on emulating the I2M Media Playback CD-i board for the PC. This board uses a Motorola 68341 so-called "CD-i Engine" processor chip. The I2M board now successfully boots OS9, including displaying some tracing messages. I also did a test build with Visual Studio 2008, which resulted in a few portability fixes but nothing dramatic. I hope to resume work on the input record/playback code soon which is the last thing holding up the current beta release. [It] hopefully arrive at a releasable beta version in the not too distant future." Lots of details in between can be found here. For those waiting for news on when the new version of CD-i Emulator will be released, have to wait a little more: "I have no fixed timeline, just a single feature that needs to be refactored: input recording/playback. Without this, creating movies is very hard on some older PCs, and it also allows you to record input traces that e.g. show a bug. The new beta was slated for end of 2009, guess I didn't make that." News on MESS CD-i also went quiet. More when it develops. Welcome to HELL. But it's not what they showed you on your album covers... it's worse. 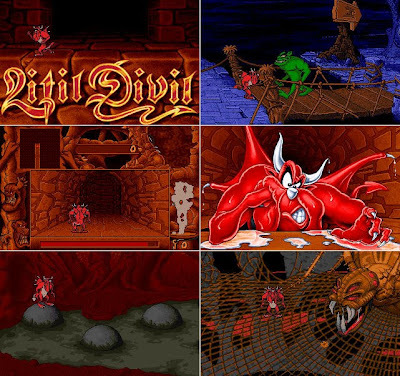 In this game you play Mutt (shown left), a devil who, thanks to the luck of the draw has the unfortunate task venturing through the pits of hell to get the dark lord his dinner. But what would his dark majesty want? Souls? Nah! Evil Doers? Nope! Lawyers? God No!.. He wants a mystical pizza. However, this is a route even the most heavily armed Domino's delivery guy wouldn't take. Monsters, demons & horrors of every kind lurk around every corner, waiting to drag you into their lair. Survive, and you'll be hansomely rewarded by the dark lord. Fail, and its the torture pits for you. Sheesh! Wouldn't it have been easier to order in? Litil Divil is a really enjoyable adventure game. 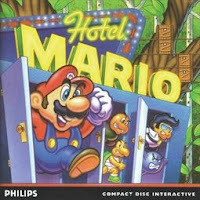 Borrowing elements from various other games, it is well executed in most respects. The map/explore screen (shown left) allows you to wind your way through the mazes of the underworld, finding hidden items, and healing agents for you to use. The on-screen map (upper-left corner of image) helps to keep you from getting too lost, but for long term play, graph paper might be a help. Some of the puzzles in the game are blatantly easy. Like this fight scene (shown right) all you must do is knock the guy in the leg with your stick and he goes flyin'. However, each of the games battles & puzzles becomes more difficult as you progress. Keeping the fun alive, and allowing you to use your brain... not just your thumb speed.